Kobe, Wagyu, or Something Else? Have You Been Served a Cow Pie? It is generally understood that Kobe beef is Wagyu, but all wagyu is not Kobe. Kobe beef is one of the rarest most delectable treats if you’re a meat eater. If you are in the US, you’ve probably never tasted the real thing, even if you’ve ordered it in the fanciest of restaurants. At upwards of $20 an ounce, you want the melt in your mouth experience to be authentic, after all you are dearly paying for it. The problem is that it is fake. Larry Olmsted, author of Real Food/Fake Food says the supplies of Kobe beef are so low that 99% of “Kobe beef” sold in the US is a lie. “If you are purchasing something that is supposedly made of Kobe beef and it isn’t absurdly expensive, you’re probably being scammed.” says Olmsted. People use the terms Kobe and Wagyu interchangeably, but they are not the same. Wagyu beef is Kobe’s commonly mistaken counterpart. Literally it is “Japanese cow”. It is historically known by its breeding pedigree of four breeds of cattle: Japanese Black, Japanese Brown, Japanese Poll, and Japanese Shorthorn. 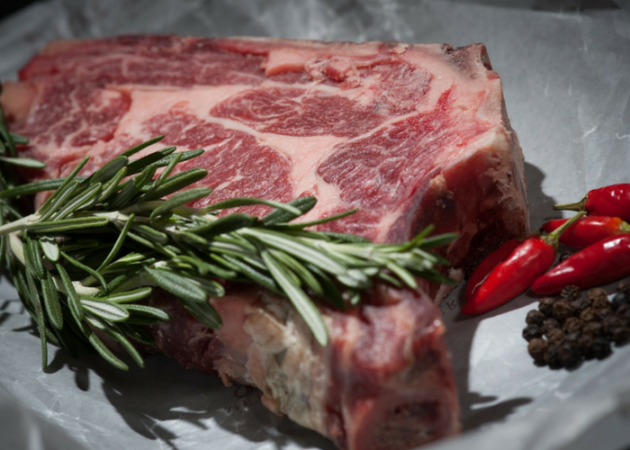 Kobe is the most famous red meat and often misunderstood. It comes from Kobe, an actual place in Japan. It’s beef is of the regional style of the Japanese Wagyu, the breed of cattle, making it rare. Tajima-gyu is the kind of cow Kobe comes from and is classified as the Japanese black breed. They are fed an exclusive grass and supplement based diet. It is sought because of its high degree of marbling tendencies and it’s depth of flavor that melts in your mouth. It is so highly concentrated with marbling, it’s more accurate description is fat with beef sprinkled throughout. Legend has it that Kobe Bryant, the world famous basketball player, is named after Kobe. If the legend is true Kobe’s parents were so moved by the taste of Kobe beef when they visited Japan that they named their son after the experience. Hubba, hubba ladies, your basketball star is named after a piece of meat. It may be proof the Kobe taste is one worth remembering. What are we served instead? Simply, something else. Sometimes Kobe is switched with Wagyu, other times it is something else. The real thing is always boneless, usually a strip, ribeye, or fillet. If you’re getting a small portion of Kobe for less than $60-$80, it is likely something else. Ask questions like Inside Edition investigator did. Ask what region it’s from and where the restaurant got it from. If the server gets nervous, head for the door. If you are really serious about the origin of your Kobe, then pull out your phone and track it. The meat comes with a 10 digit serial number. Ask the restaurant for the serial number and track it right here. 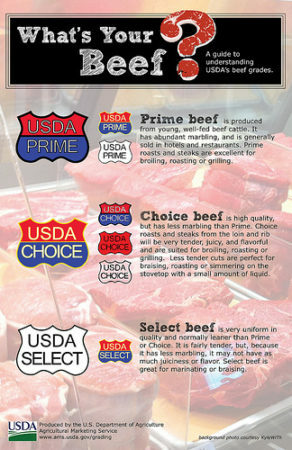 The Japanese meat grading system is strict and balanced across four characteristics, on a scale of 1-12. The marbling standard is the most important. Other factors and firmness, fat color, and quality. Wagyu and hybrids usually score 6-9, and Kobe usually scores 10 or higher. Grade 1: The carcass is covered with a thin layer of fat over the loin and rib. A thin layer of fat over the outside of the round and chuck. Grade 2: The carcass is almost completely covered with external fat. Lean is visible through the fat, over the outside of the round, chuck, and neck. Grade 3: The carcass is completely covered with external fat. Lean is easily visible through the fat on the lower part of the round, chuck and neck. Grade 4: The carcass is completely covered with external fat, and muscle is visible in the shank, outside the flank, and plate regions. Moderate to think fat is found over the round, loin, rib, rump and sirloin. Grade 5: The carcass is covered with a thick layer of fat on all external surfaces. Extensive fat can be found in the brisket, kidney, pelvic and heart regions. A5 is the highest distinction while A4 is still a remarkable piece of meat. Real Kobe is an A5. I’ve never tasted it. Not even the knock off versions. If I’m spending $200 on a steak it’s going to be a golden wedding anniversary, or an occasion equally monumental. Have you tasted real Kobe, or just been bamboozled with a substitute? Please comment below and use the sharing buttons to send this to someone who doesn’t know they’ve been bamboozled too. I don’t see myself spending that kind of money on food anytime soon but if it’s as good as you say if given the opportunity, I just might! Hi Patty! Glad you stopped by. I’ve never tasted Kobe either, but the anticipation keeps me hoping that one day I will. Thanks for commenting.